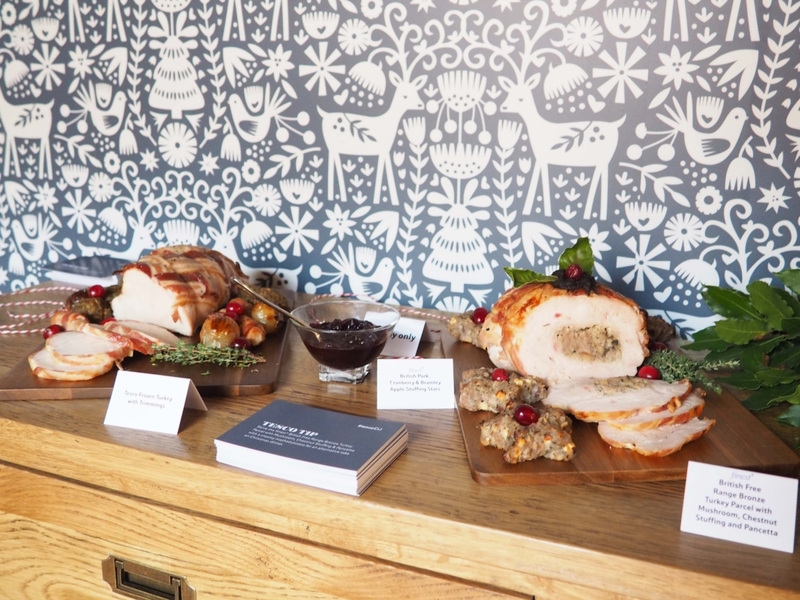 Back in July, I attended a couple of Christmas in July press events in London. 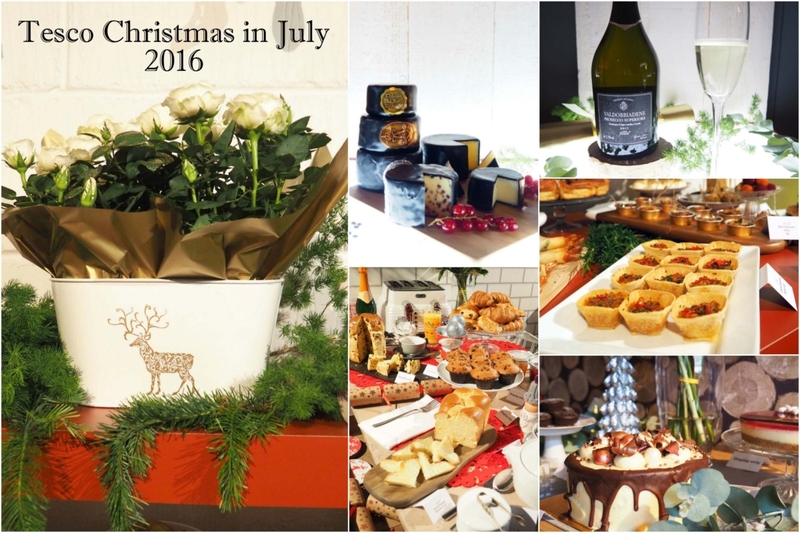 Tesco Christmas in July was one of them and it was definitely my favourite of the lot! 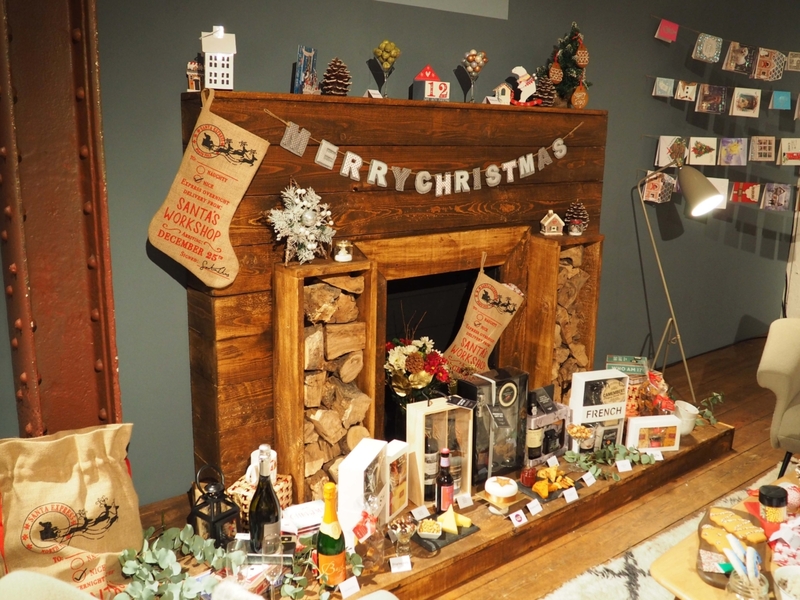 Every July I look forward to the Tesco Christmas in July press show because of the festive setting and little surprises. 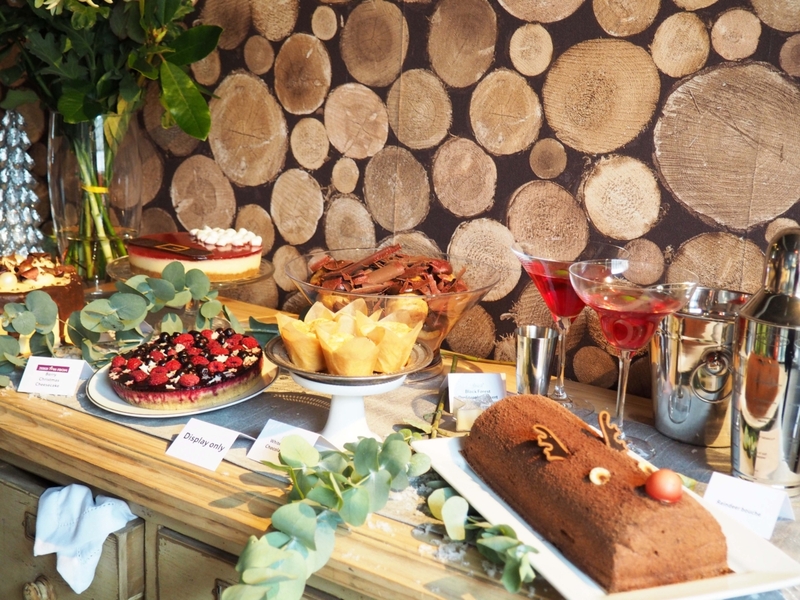 Having a lot of things to nibble on at the event is also a massive bonus. 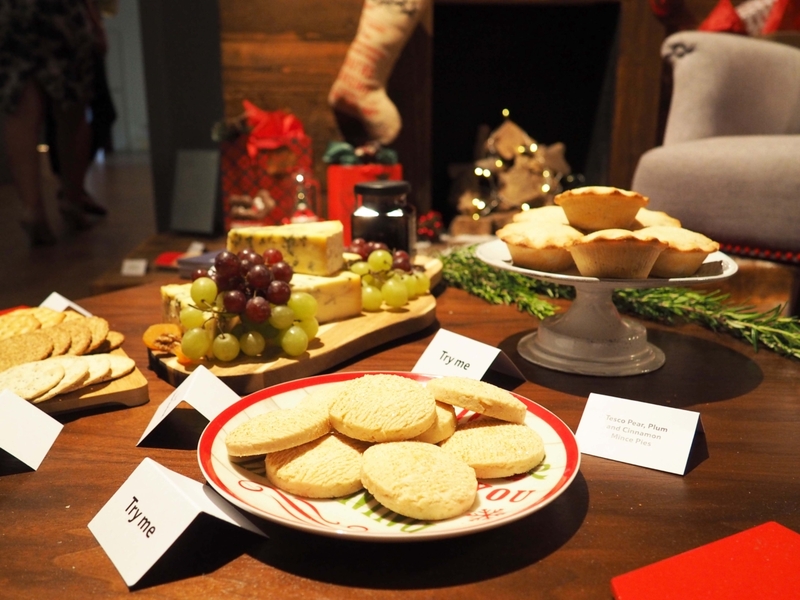 This year’s Tesco Christmas in July press show was somewhat different from the previous ones (Tesco Christmas in July 2014 and Tesco Christmas in July 2015). 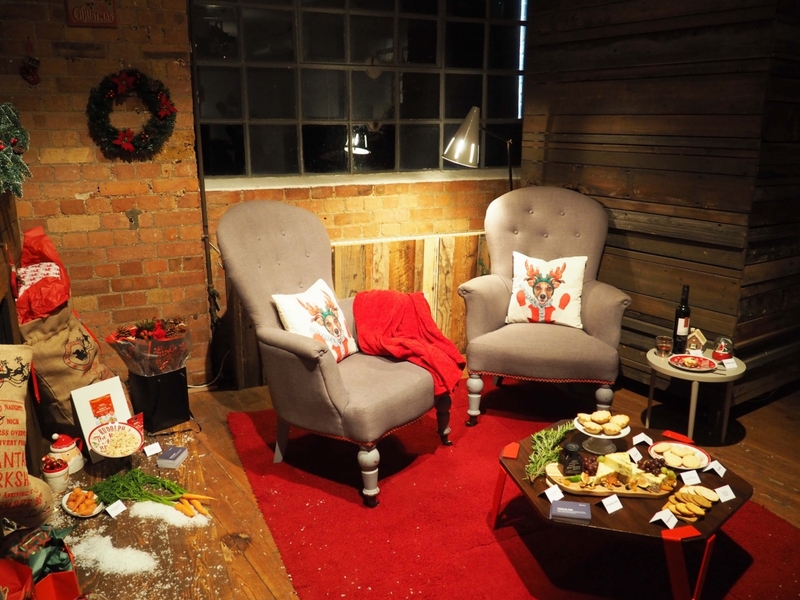 Rather than holding the event at a fancy hotel in central London, Tesco turned a warehouse into a Winter Foodie-land! The theme and focus was very clear throughout and there were a lot of surprises along the way! 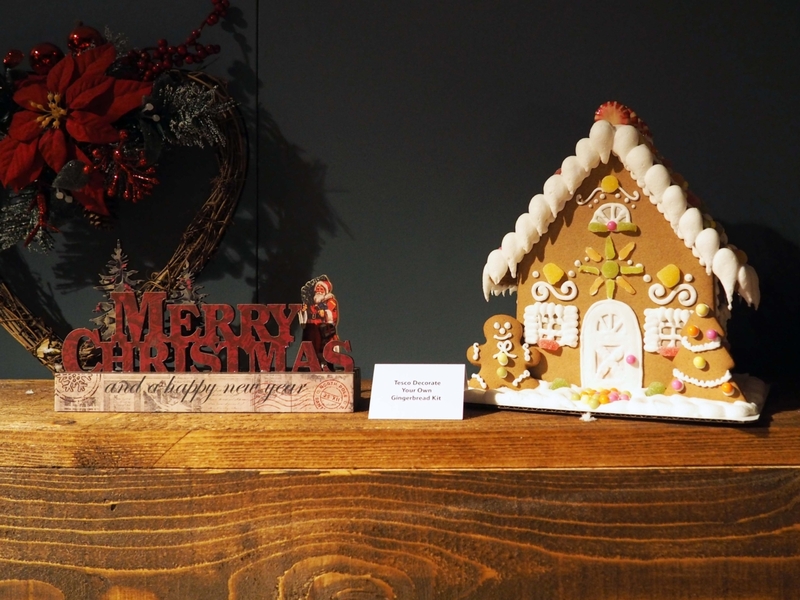 The theme was 25 days of festive celebration! There were 25 numbers within the building, which were labelled on doors, passages and cupboards. Behind each number there’s either a new room or a key product (like an advent calendar). 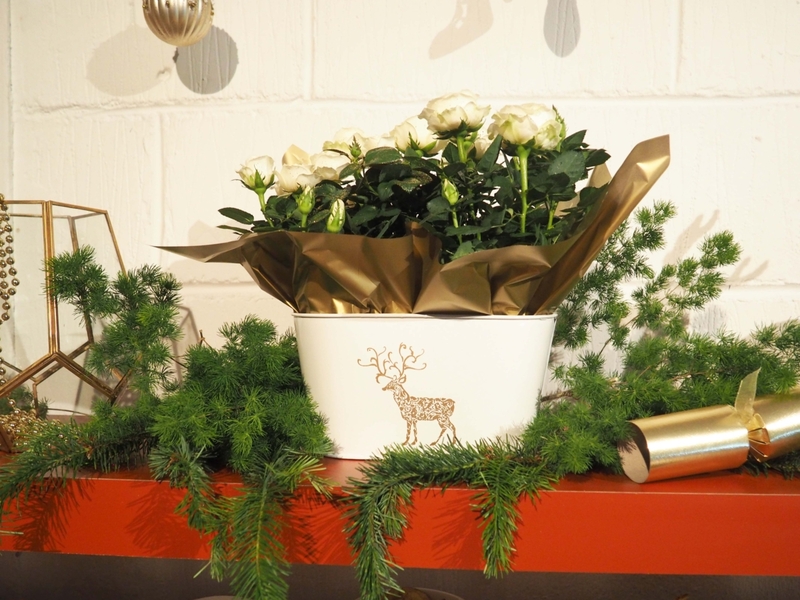 The numbers counted upwards from 1 to 25, so the closer you got to 25 the closer you were to Christmas! To summarise it, the whole venue was a big maze counting up to the 25th December! I absolutely loved the theme and I was very excited to see the wonders behind each door! 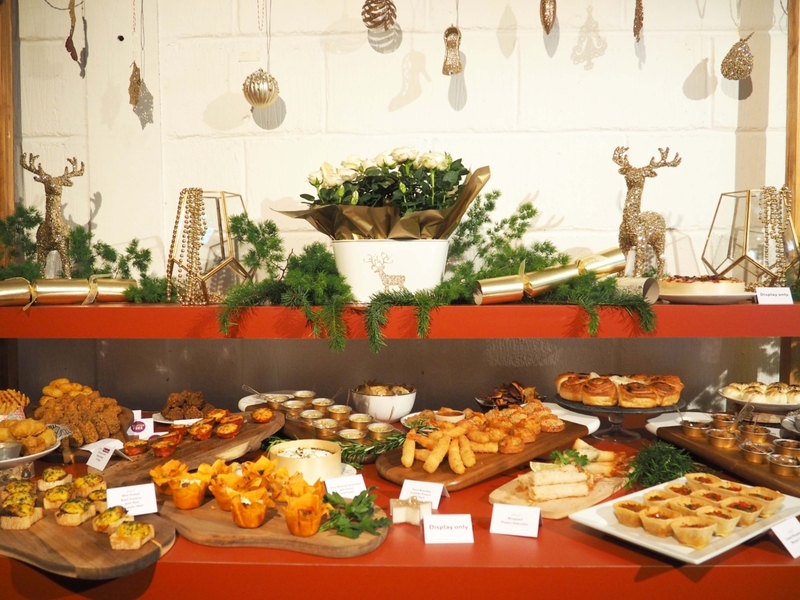 Tesco has put a lot effort into their own products this year and has focused on getting their Christmas meals, snacks and platters as close to perfection as possible! The whole show made my mouth water and all the deliciousness on display made my eyes sparkle with delight. 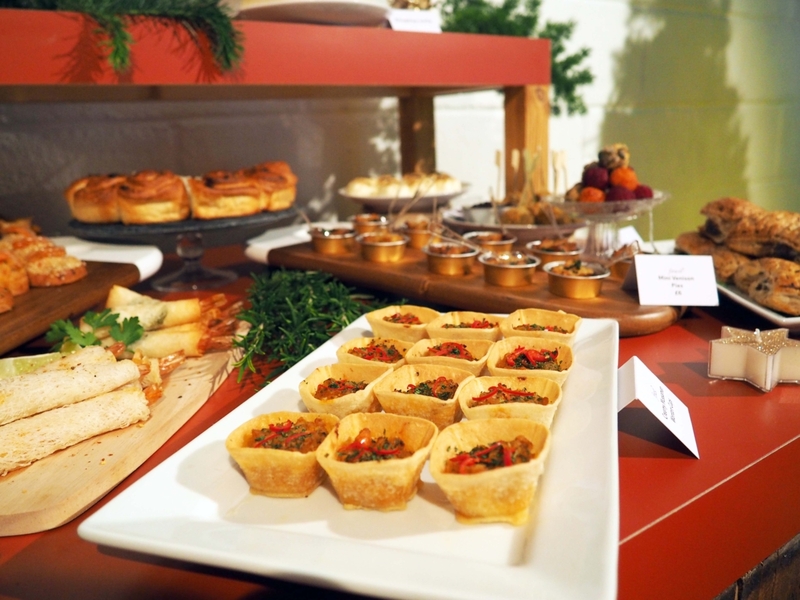 Fortunately, there were tasting platters throughout the event to keep my appetite in check! 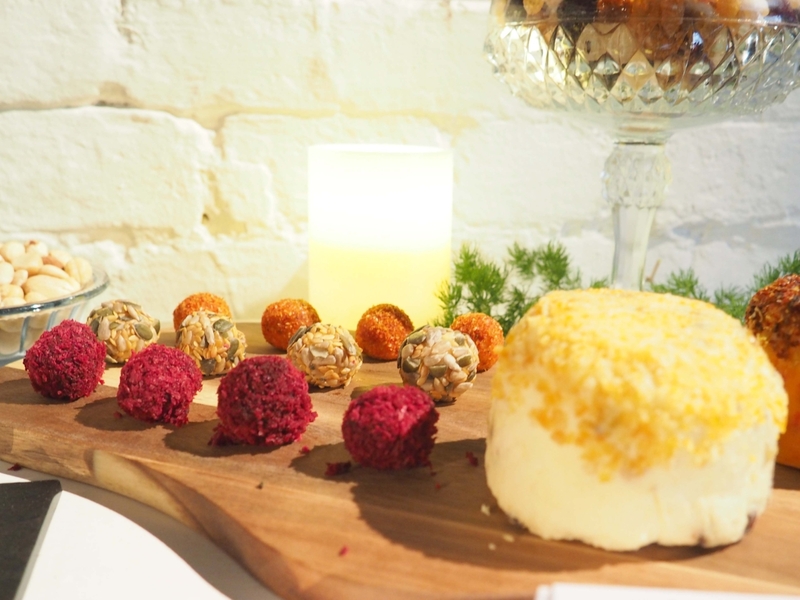 I still can’t stop thinking about the cheese truffles, smoked salmon and chocolate muffins! The entrance to the show took me by surprise as it teleported me to the North Pole! 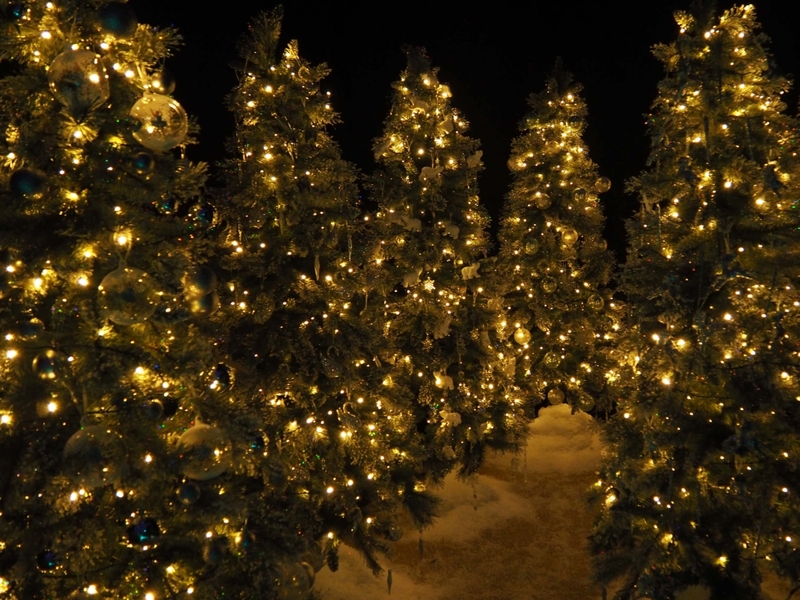 To get people into the Christmas spirit in July, Tesco decorated the entrance with a forest of fir covered in fairy lights and Christmas baubles. To top it all, it was a cold forest with a lot of snow! 🙂 The scene was mesmerizing and I couldn’t wait to see what was behind the first door! 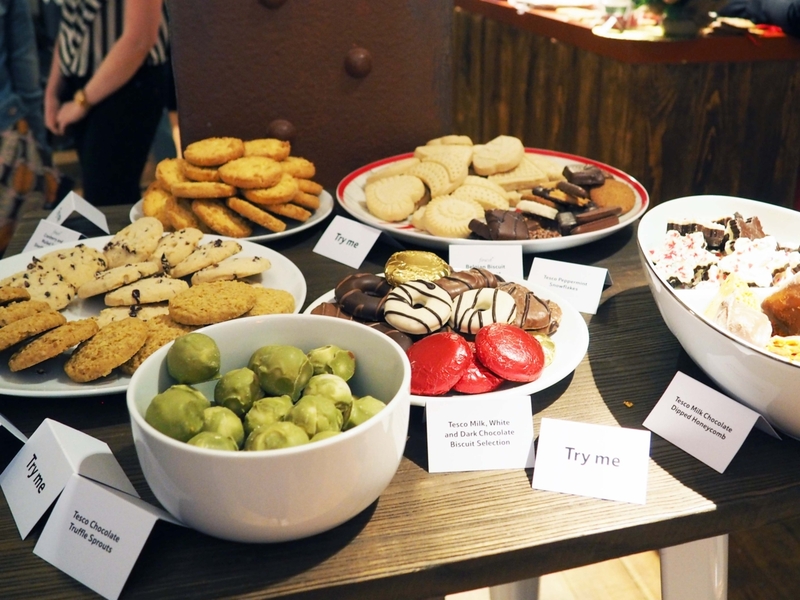 Some of the treats caught my eyes at Tesco Christmas in July were the Truffle Sprouts and the Peppermint Snowflakes! 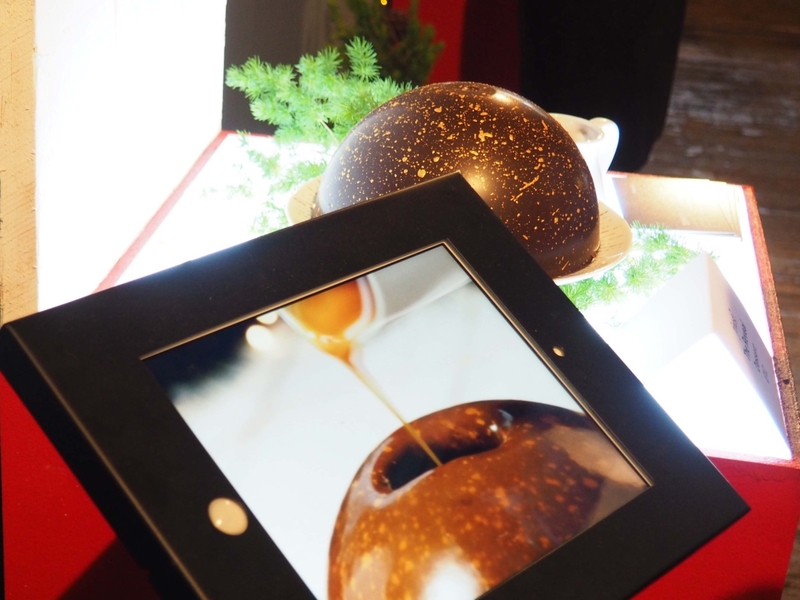 However, don’t be fooled by the Chocolate Truffle Sprouts, they’re chocolate truffles in disguise! The texture and taste are as far from brussel sprouts as it can get. 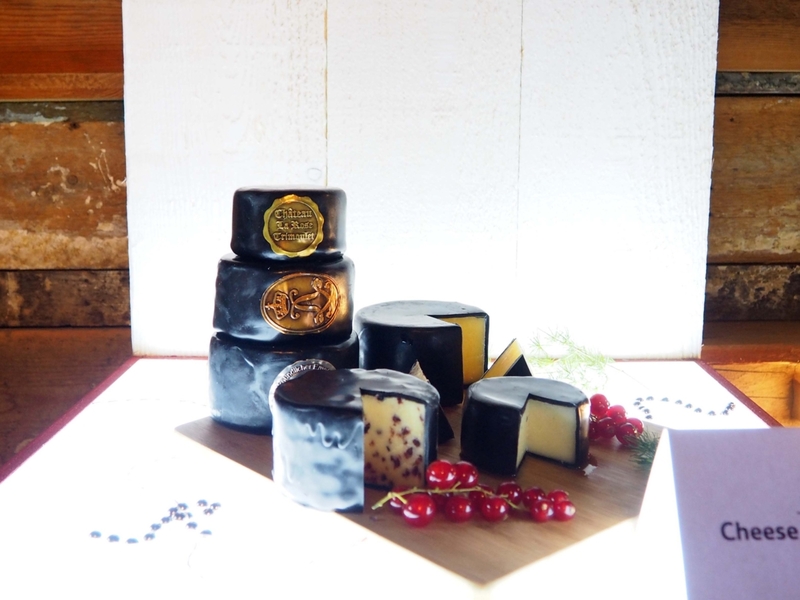 The texture is really soft and creamy, and it tastes delicious. 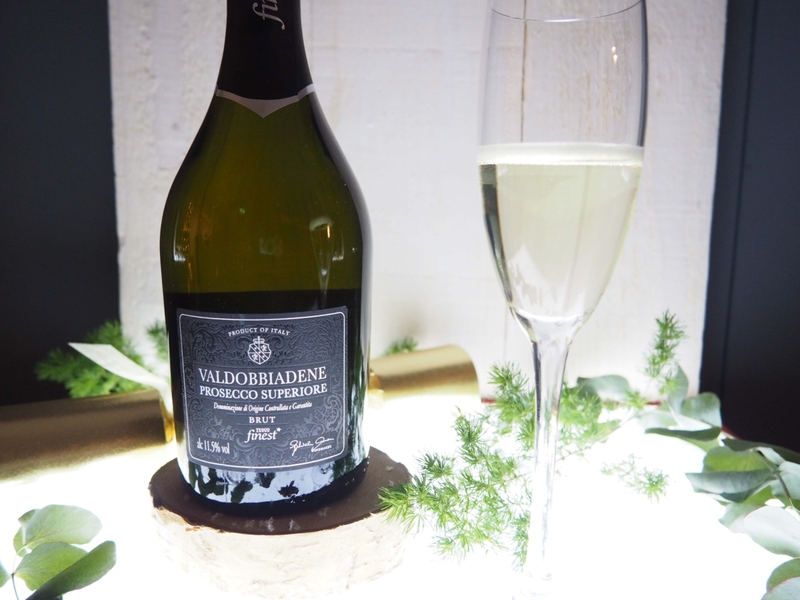 Maybe it’ll count towards one of the five a day….. only because it’s Christmas! 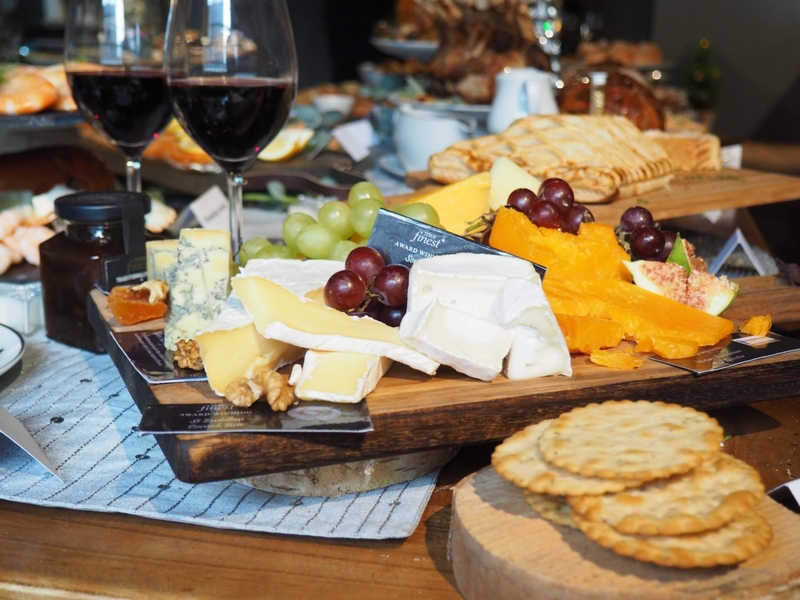 Getting the party platters and cocktail mixes right for the festive season is a must! 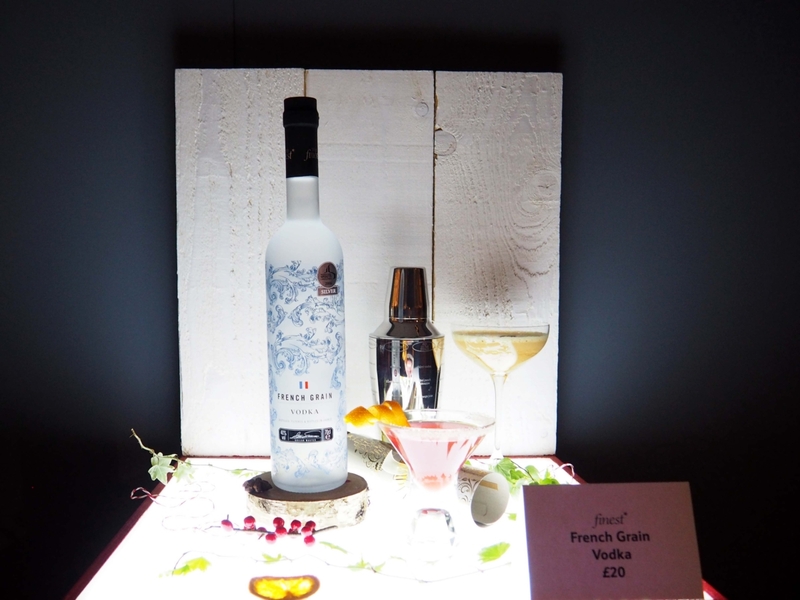 Tesco Finest French Grain Vodka was the first thing from the “party room” that caught my eyes. The design of this bottle is stunning, and it’s a great cocktail base! Nevertheless, the bottle itself will make a beautiful vase! As for the party platters, most of these platters were for display only, but there were a couple of items on this table that caught my attention. 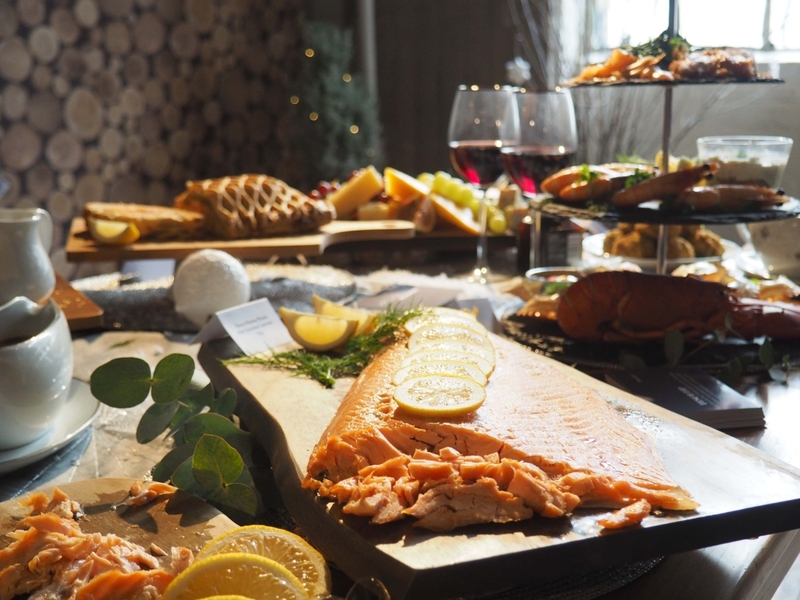 The Wrapped Prawn Selection, Scallop Thermidor and Mini Pulled Beef Toastie are definitely some of the platters I’ll be looking forward to try this Christmas. 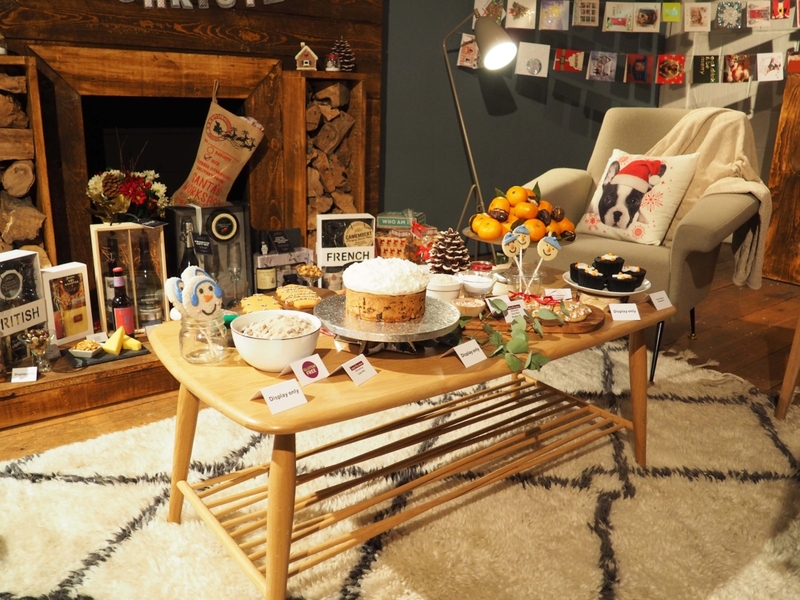 What’s better than making your own gingerbread house with help from Tesco’s Decorate Your Own Gingerbread Kit and sleeping next your favourite teddy bear on Christmas eve? 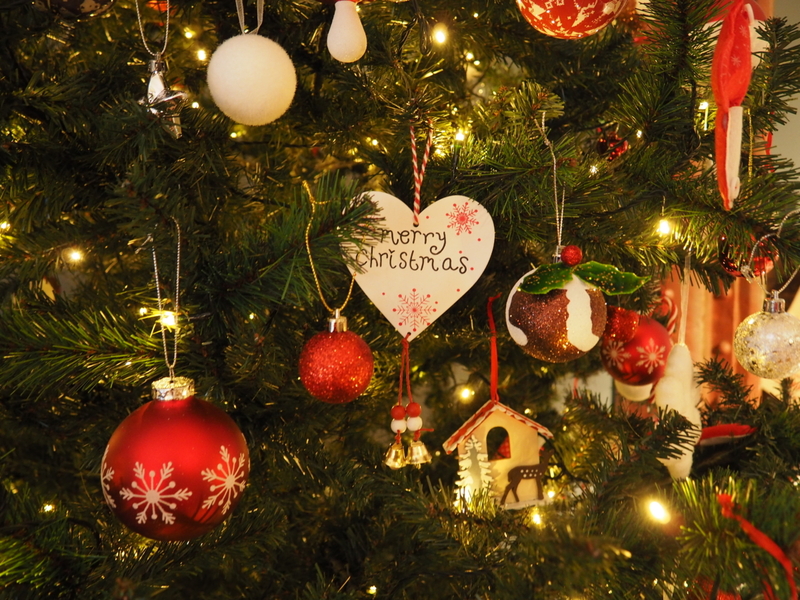 I know that I will be going to bed early on Christmas eve… but maybe just after eating a Mince Pie! Christmas morning is all about getting up early and feeding a bunch of hungry people… and opening presents! 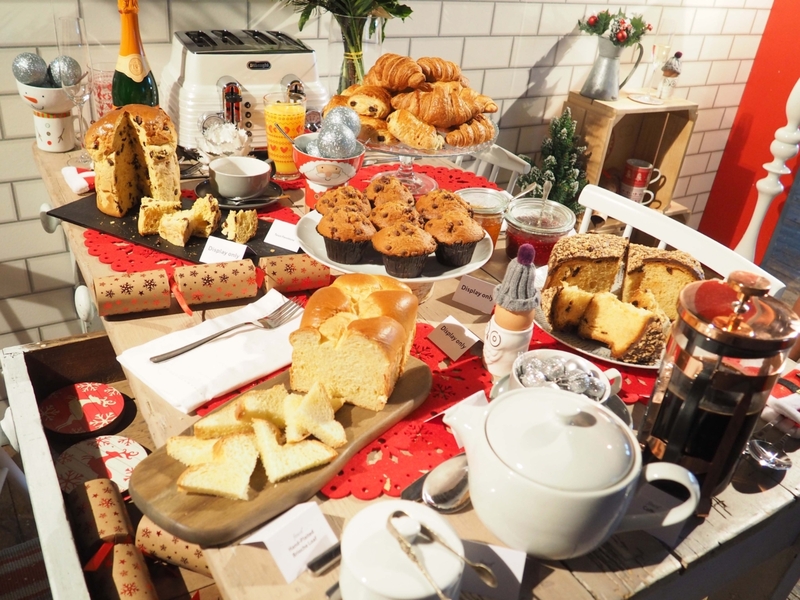 I’m more likely to play the “being fed” part as opposed to the “feeding” part this Christmas, but a quick table set up like the one at Tesco Christmas in July will definitely be a feast to my eyes and stomach. 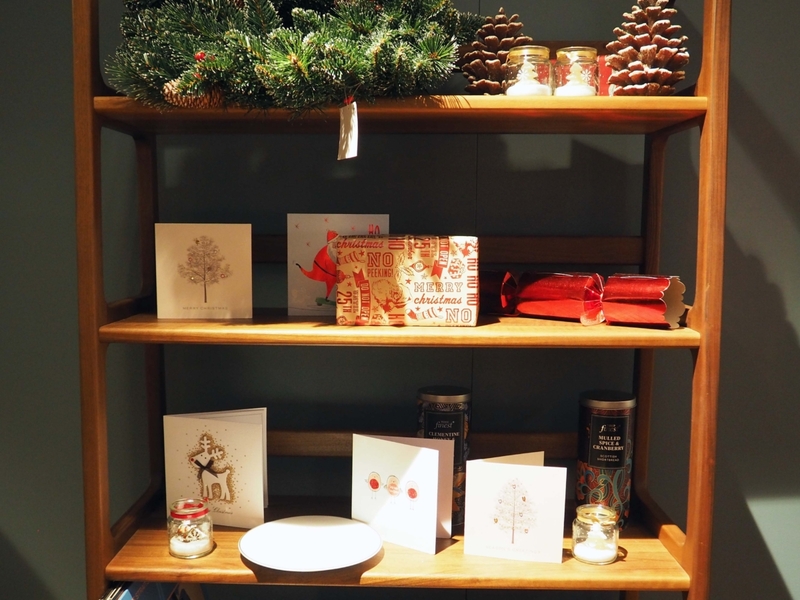 Besides, it’s all ready-made or easy to prepare, so it’s really quick to set up! The Brioche & Panettone look delicious, but I wouldn’t mind a bite of that muffin either! 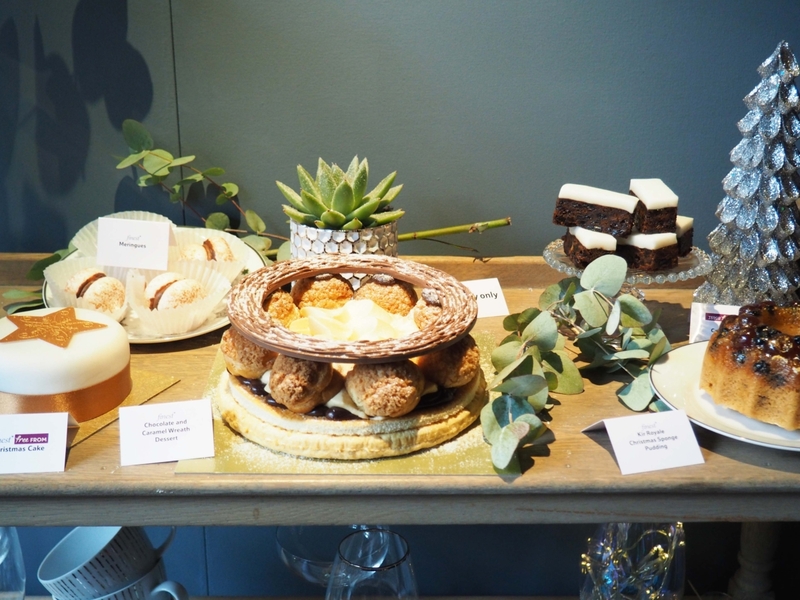 Other than the party platters which are great starter options, Tesco has also created a few centrepieces that will steal the show this year. 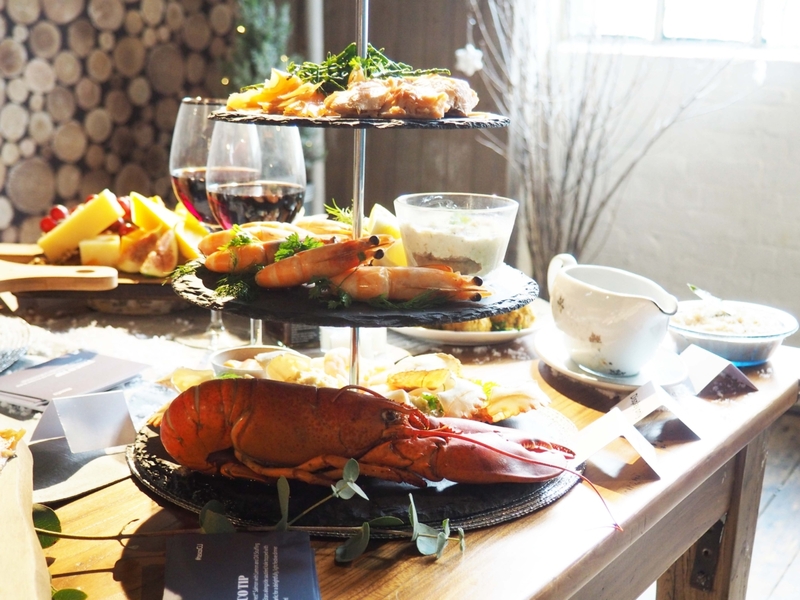 The Cheese Truffle Selection and Mulled Cranberry Topped Pork Pie will add a bit of fun and colour to the table, but if you’re looking for a centrepiece, then the Cheese Truckle Tower and Seafood Platter (both new to Tesco this year) will totally bring out the wow-factor! 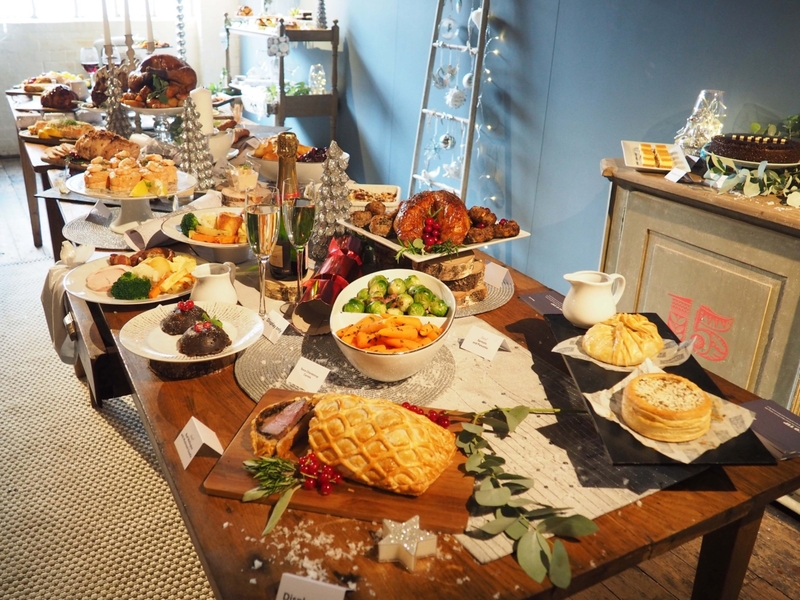 There are tons of choices for the Christmas main course and if you’re looking to try to them all, you’ll need to feast for days, I mean weeks! Turkey will be served at most people’s houses this year, but for the more adventurous, try Smoke at Home Ham which comes with a wooden smoking/serving board. All you need to do is to put it in the oven and let the magic unfold itself. 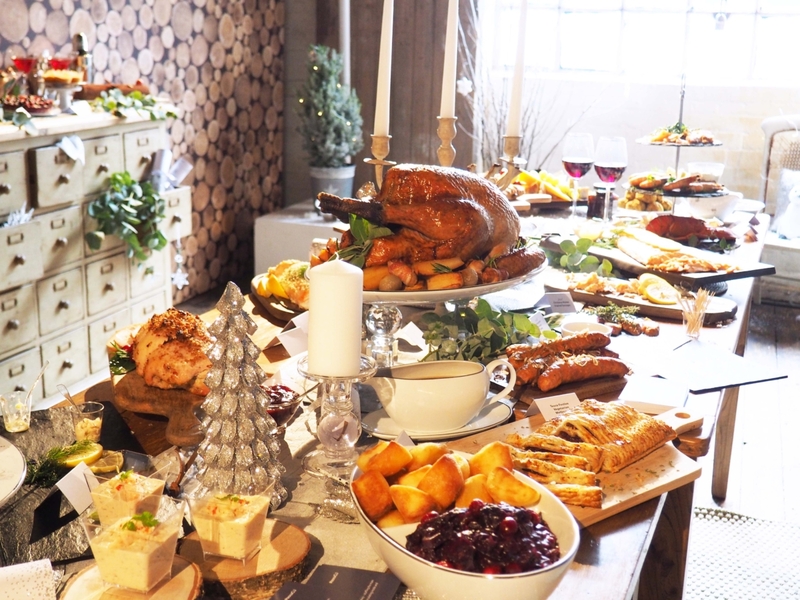 However, if everything does go wrong on Christmas day or if you are somehow celebrating it alone, there’s always the “Christmas Dinner in a Box” option to fall back on! 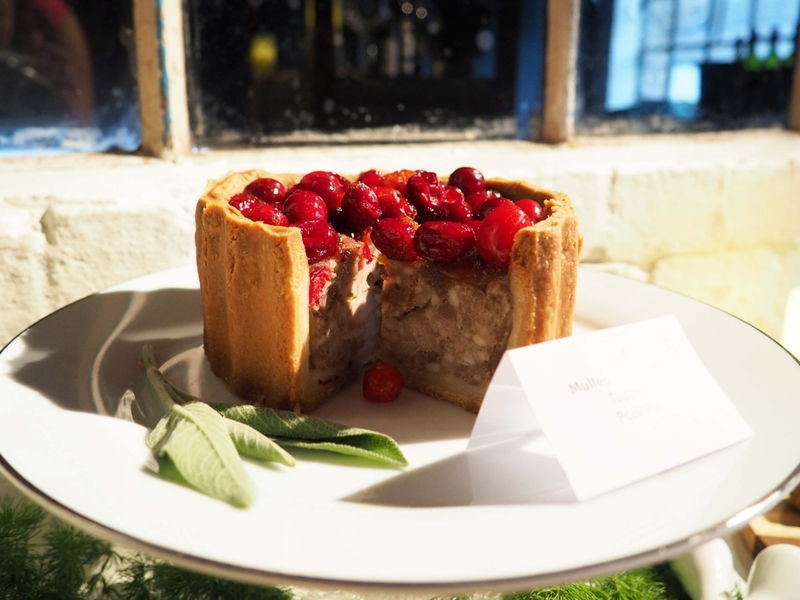 The box includes turkey, selection of veg, stuffing, Yorkshire pudding, sausages, champagne and Christmas pudding for dessert….. frankly, a Christmas dinner in a box! 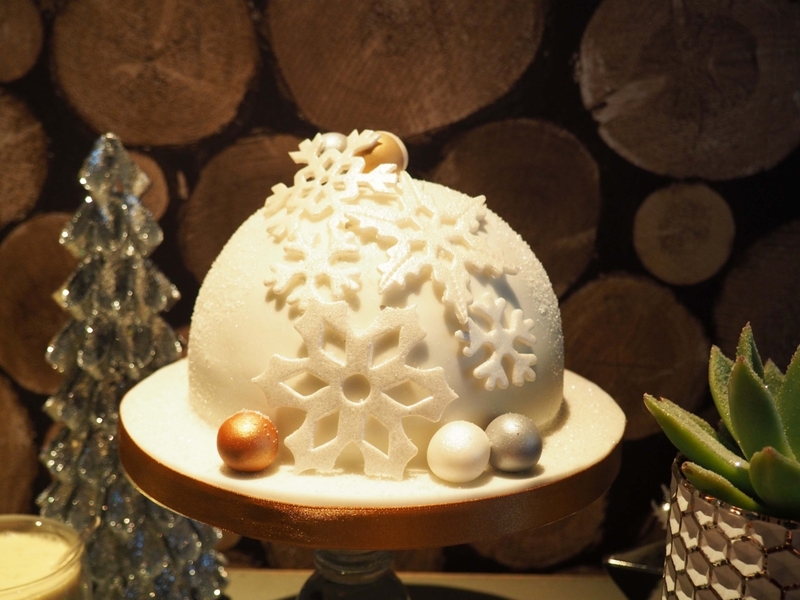 I’m a massive sweet-tooth, so Christmas dessert is one of the many things I’ll be looking forward to! 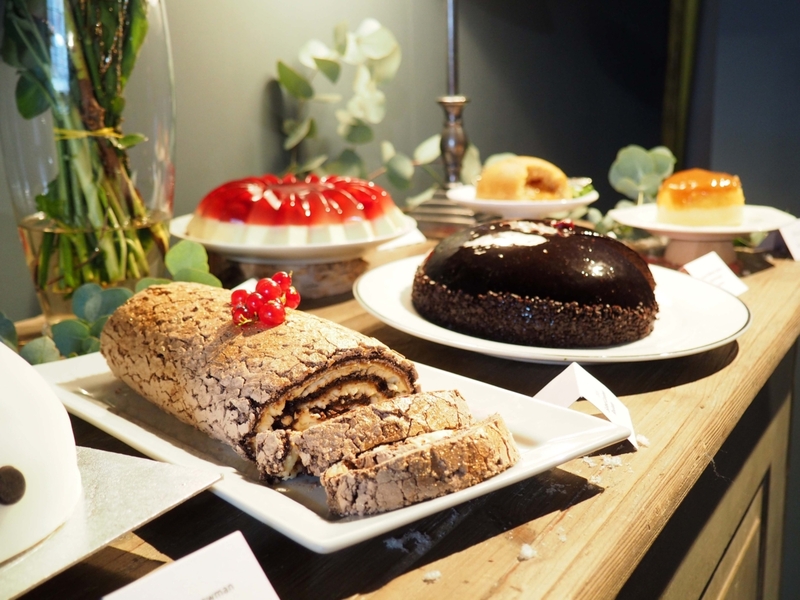 How delicious do these desserts look? 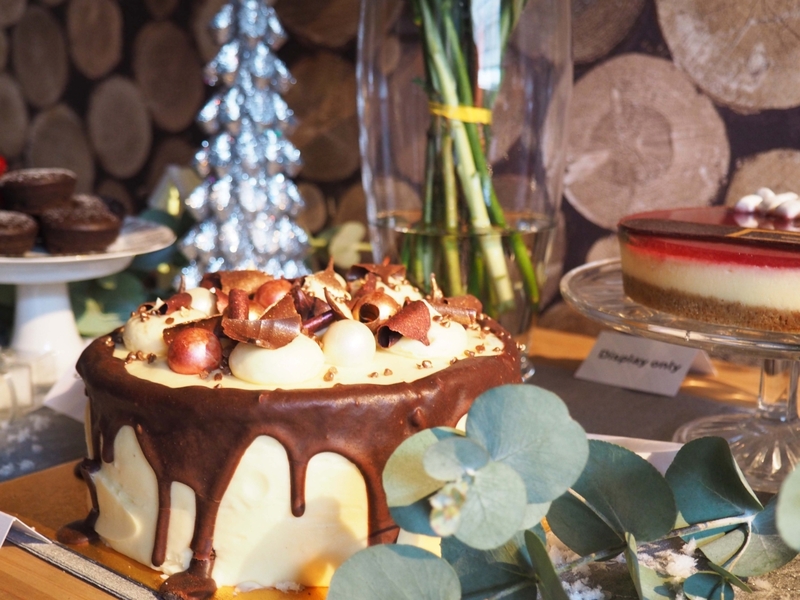 The Black Forest Gateau, Snowman Cake, Chocolate & Caramel Wreath, The Reveal Dessert and Cheese Platter will definitely be some of the showstoppers this year! 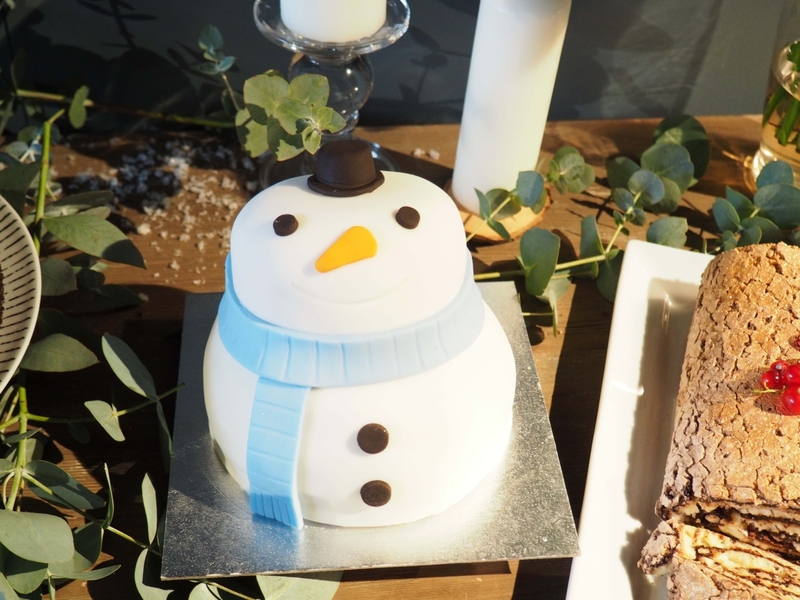 There are a lot of products and pictures in this Tesco Christmas in July blog post, but for each “section”, I thought I’d point out the key products you should be looking out for at Tesco this Christmas. Tesco will be introducing a lot of exciting products this year and most of these will start to fill the isles around late October/early November.